BREKING NEWS: Nigerian Youths are lazy says Buhari ~ The Big Thing In Town!!! President Muhammadu Buhari says many Nigerian youths just want to sit down and do nothing, banking on the notion that Nigerian is an oil-rich nation. 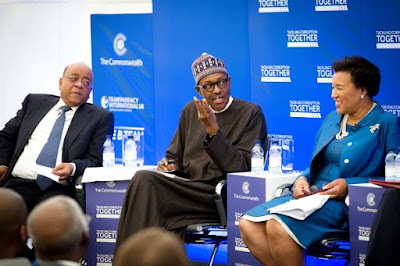 Speaking at the Commonwealth Business Forum in Westminster on Wednesday, the president said a lot of Nigerian youths have not been to school and they want everything free.